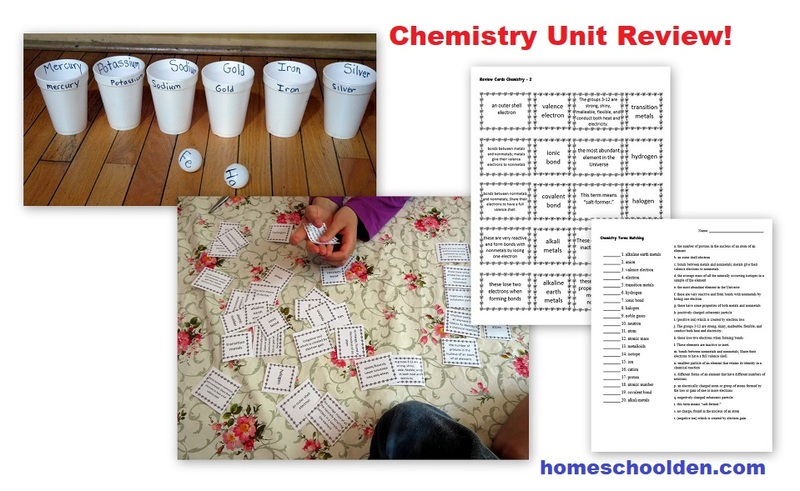 I am excited to share our new chemistry unit with you! 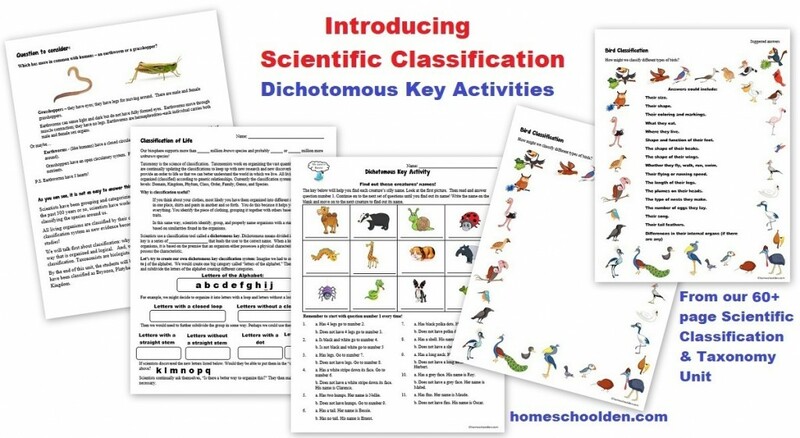 As you know, we love hands-on activities and I want to show you some of the fun ways we explored the periodic table and touched on topics like valence electrons, Bohr Diagrams, Lewis Diagrams (electron dot diagrams), ions, isotopes, and more! We did this unit together when the kids were 10, 12 and 14. 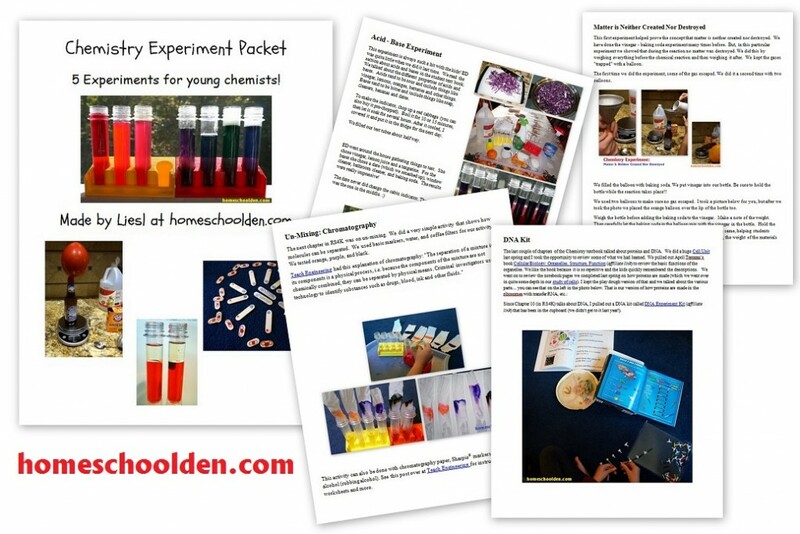 I think this unit is best for middle school and up (perhaps as a supplement to for high schoolers being introduced to chemistry for the first time). Now back to the Chemistry Packet! 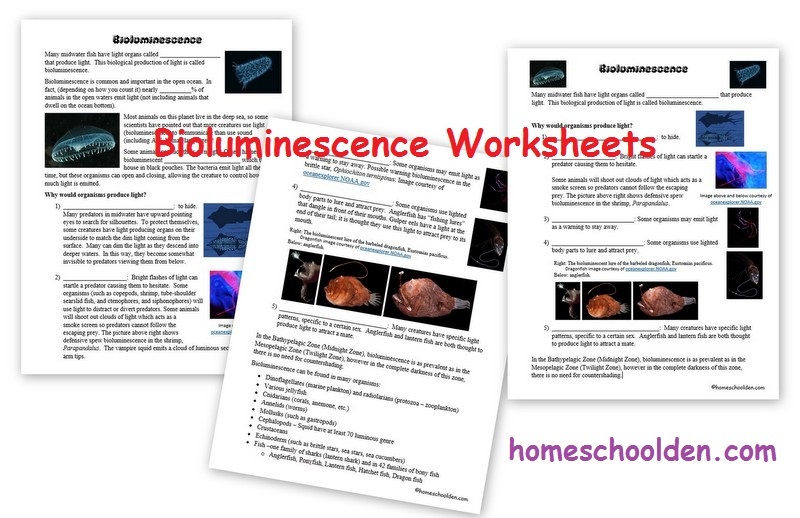 In the packet, there is a student instruction sheet on how to color the elements. 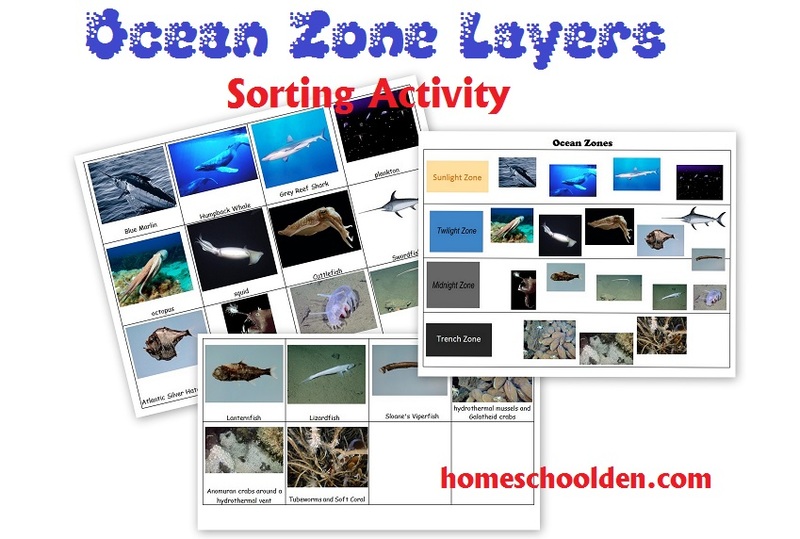 This activity includes the first 36 elements. My daughter spent several days coloring the cards (while we did read alouds). We talked about Mendeleev, who was the first to develop the periodic table and discussed how challenging that must have been. 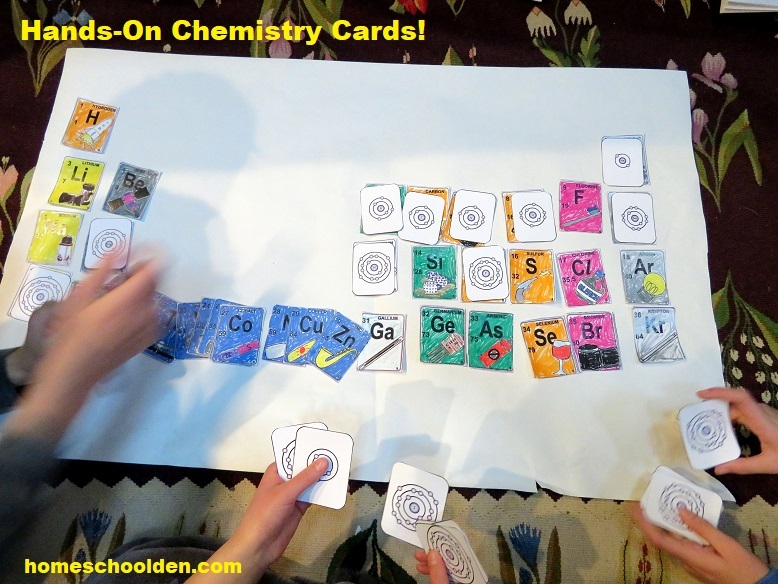 I told them that Mendeleev knew quite a bit about the properties of the various elements… and with their color-coded cards, they had considerable information too. They had to build the periodic table. The teacher notes (pictured below right) explain some of the hints I gave them on the way, but they did a great job with it as you can see from the pictures above! Along the way, the students took notes on the observation page (seen below in the middle) about the families they were looking at. (For example, they pretty quickly figured out that the blue elements were all metals — like iron, copper, zinc, etc.). 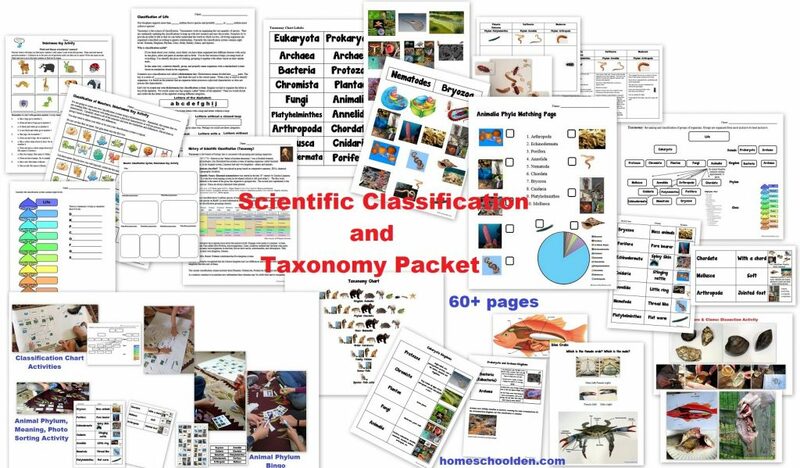 They also saw that the yellow cards all had one little electron in the lower left corner. 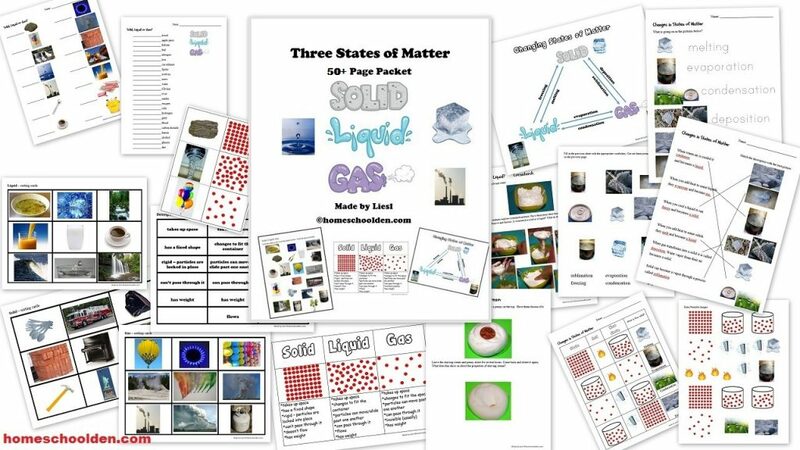 Note: There are cards for the elements 1 (hydrogen) through 36 (krypton) included in the Chemistry Packet. Next we went over the parts of the atom (nucleus, protons, electrons, nucleus, etc.). 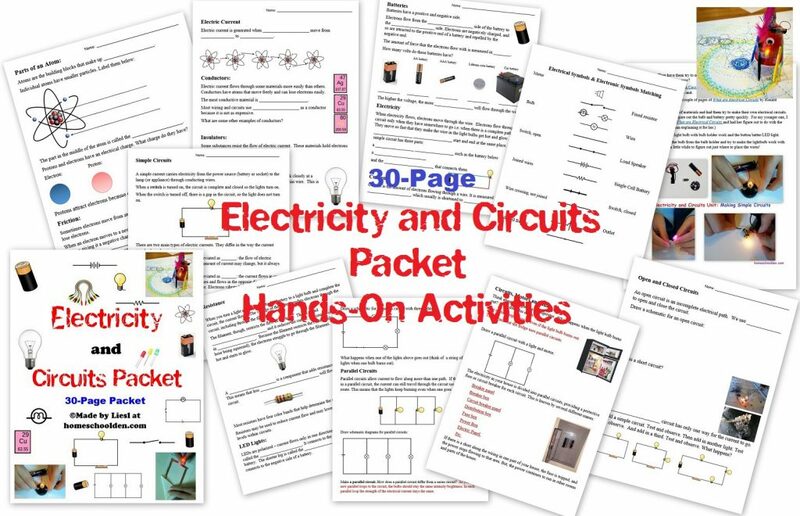 We did another hands-on activity to introduce the kids to valence electrons. 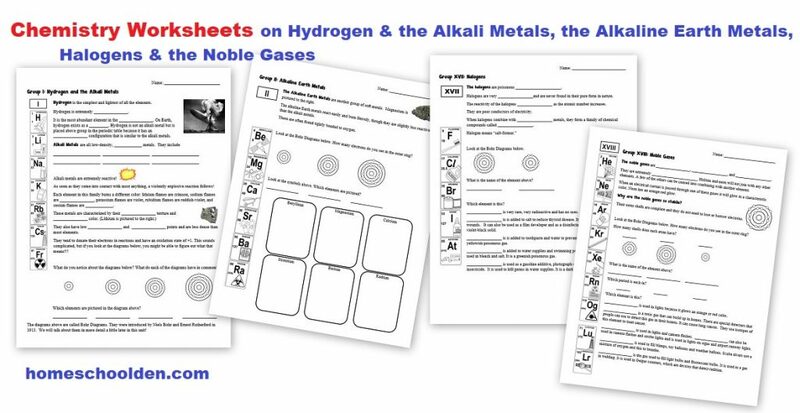 I handed the kids Bohr Diagram cards that were the same size as the element cards from the activity above. I divided the cards among the kids and had them place the cards on top of the cards below. 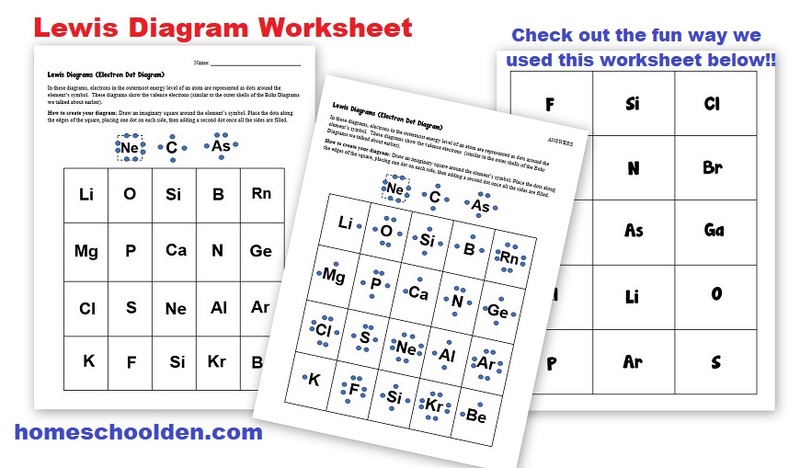 Note: There are Bohr Diagram cards for elements 1 (hydrogen) through 20 (calcium) included in the Chemistry Packet. 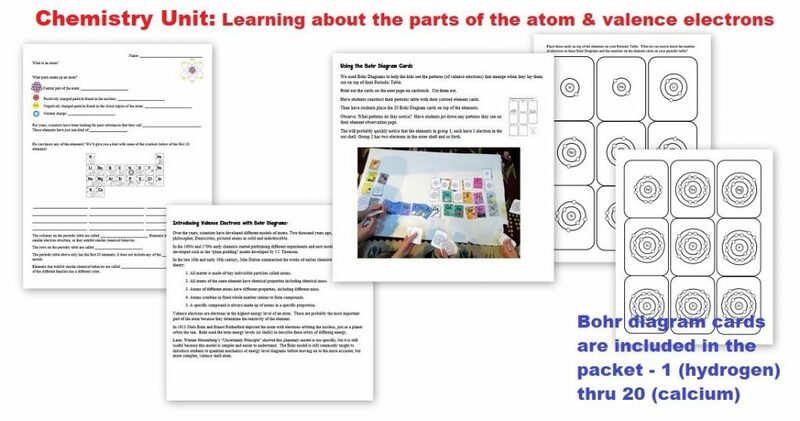 The next day, the kids did a cut-and-paste activity with those same Bohr Diagrams. 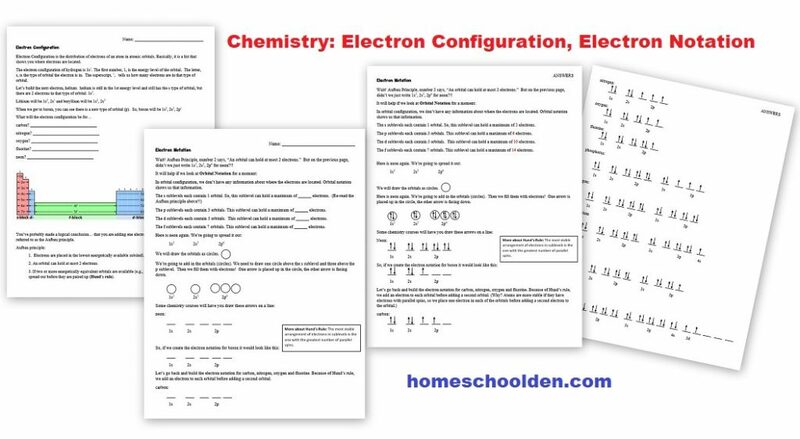 We used this chart a lot as we continued on with this unit because then they could easily see how many valence electrons were in the outer shell of the elements! 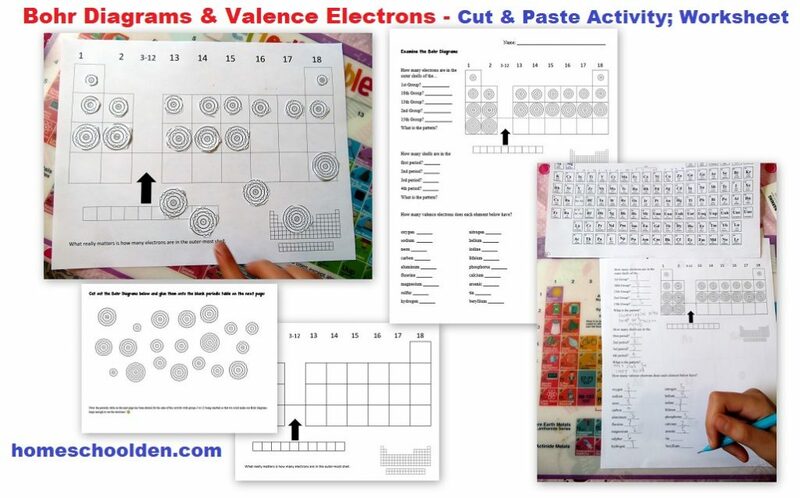 They also did the worksheet I made for them which has them look at the number of shells and number of valence electrons various elements have. 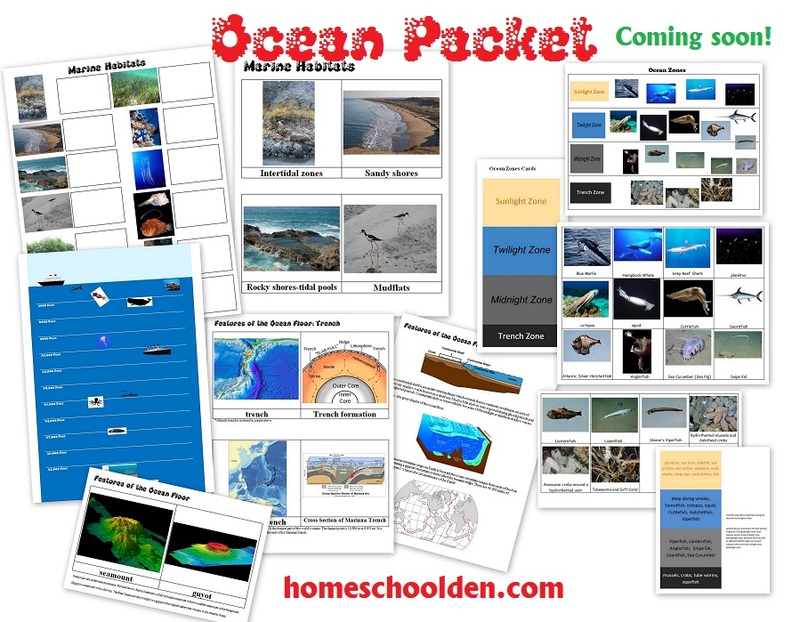 We did a review activity. 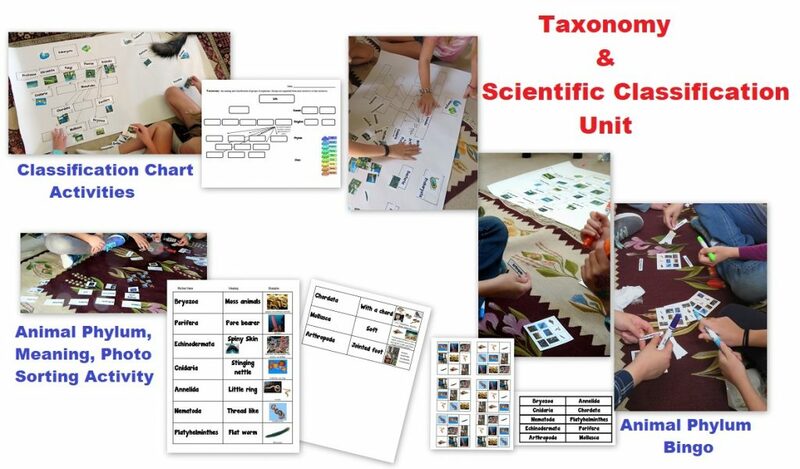 The kids created an interactive notebook piece for their science notebooks about the Groups of the Periodic Table. The kids cut out examples of one Bohr Diagram for the groups, plus they cut out descriptions of each group. 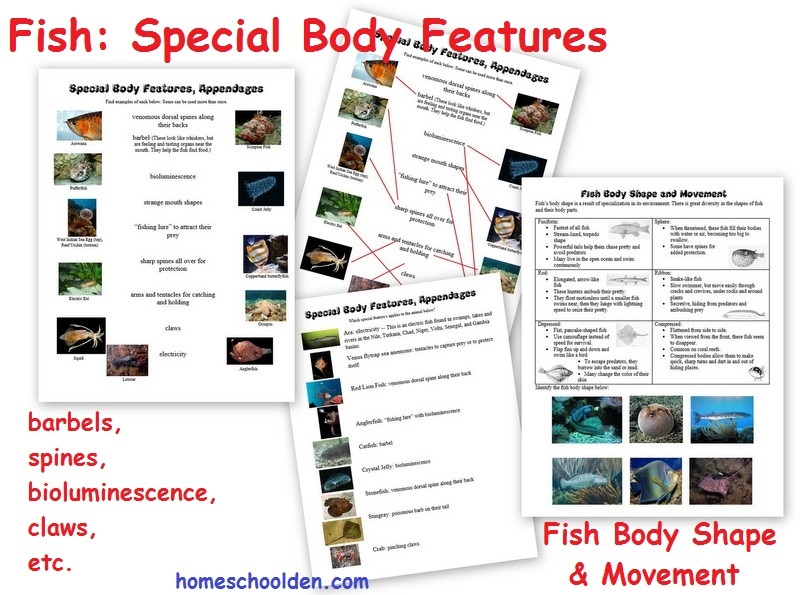 Your student can use the information provided or write their own description for each group. 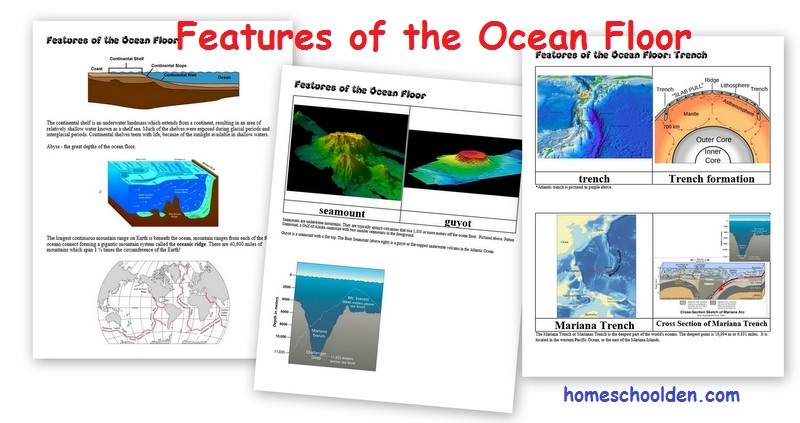 There is an answer key provided (but not pictured below!). The chemistry packet has some matching cards for some of the unusual chemical symbols that the kids memorized. 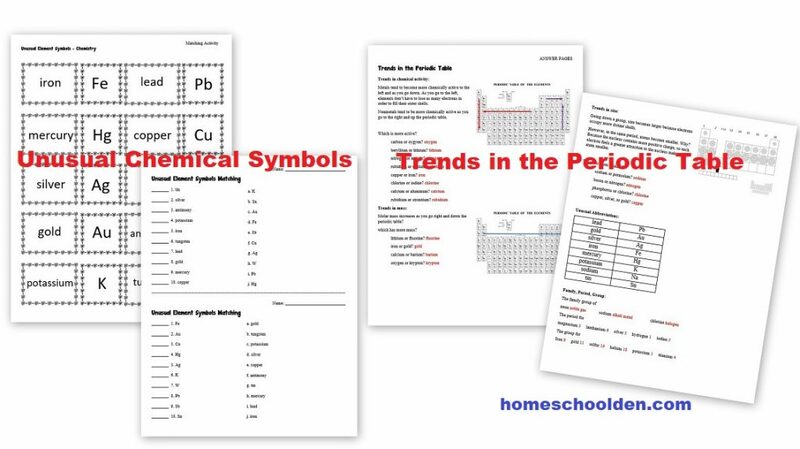 We also touched on some of the trends in the Periodic Table (though we really didn’t go into that much detail… that will come when they do high school chemistry). One afternoon, I brought out some ping-pong balls and cups. The kids thought that was funny and enjoyed trying to bounce the ball into the correct cup! 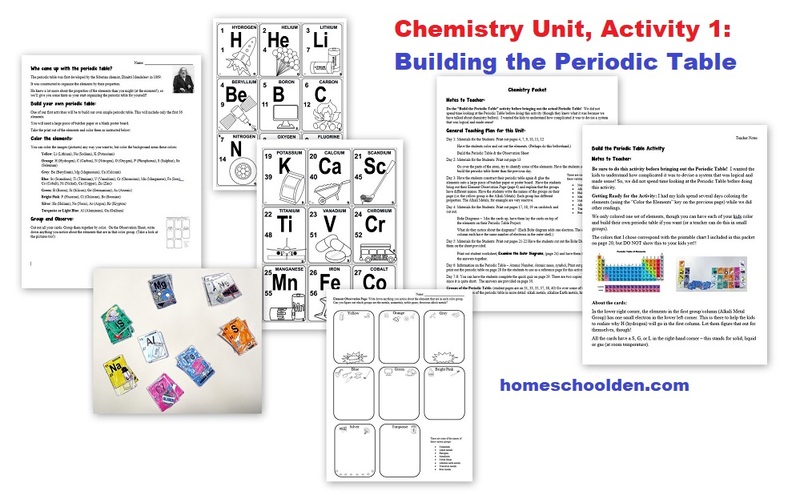 🙂 Below you can also see some of the chemistry review cards I made for the kids (with many of the terms they learned during this unit… from proton and neutron to halogen, covalent bond, and anion and atomic number. 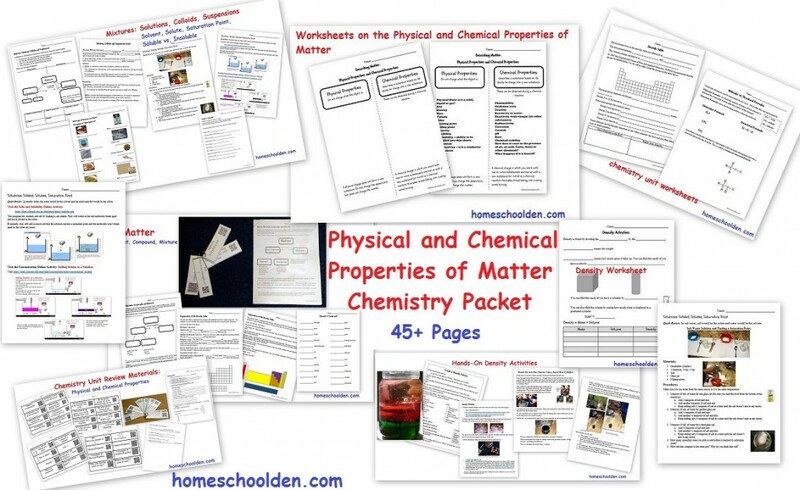 One Mom asked if this packet is suitable for someone with little to no chemistry knowledge. Here was my answer! 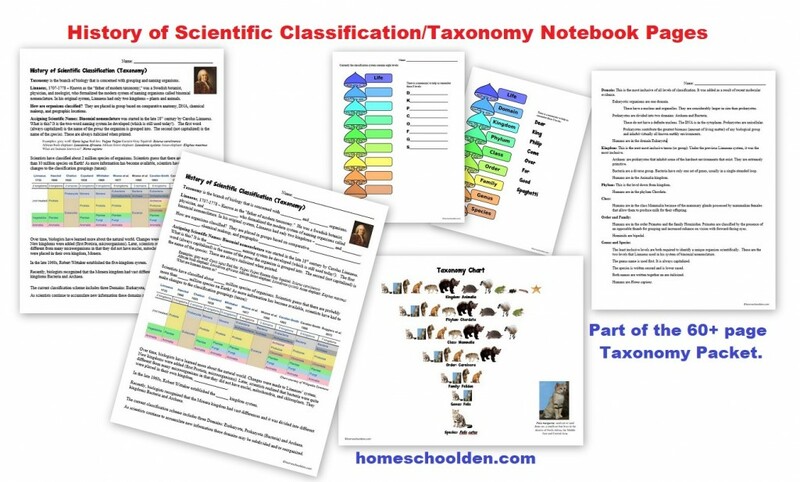 Yes, I provided all of the answers and actually added in quite a number of teaching hints along the way. 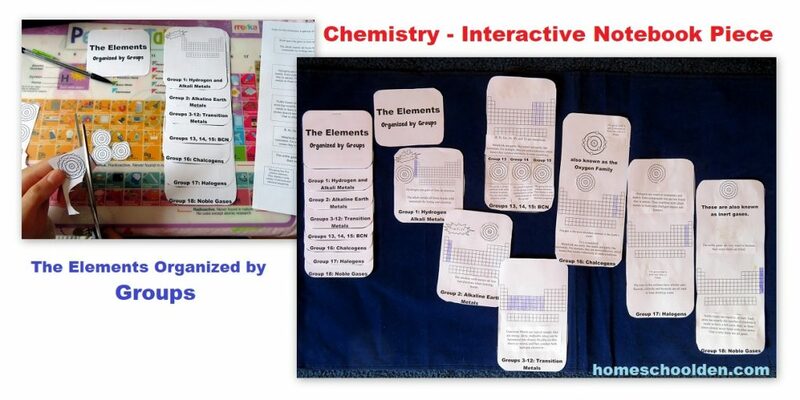 I designed the activities so that the kids discover some of the patterns of the Periodic Table themselves. (That’s why Bohr Diagrams are really useful, if a little outdated in our knowledge of atoms!) 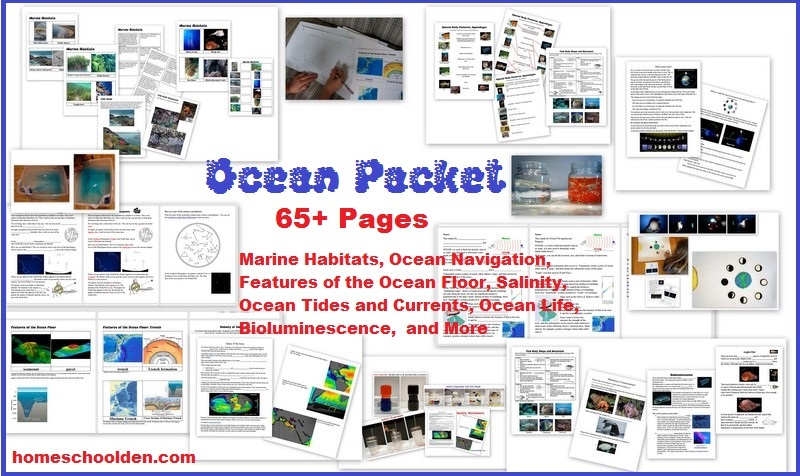 In this packet, I have a general guide at the beginning of the packet of what we did on day 1, day 2, etc. b/c I thought some parents might want a bit more guidance. 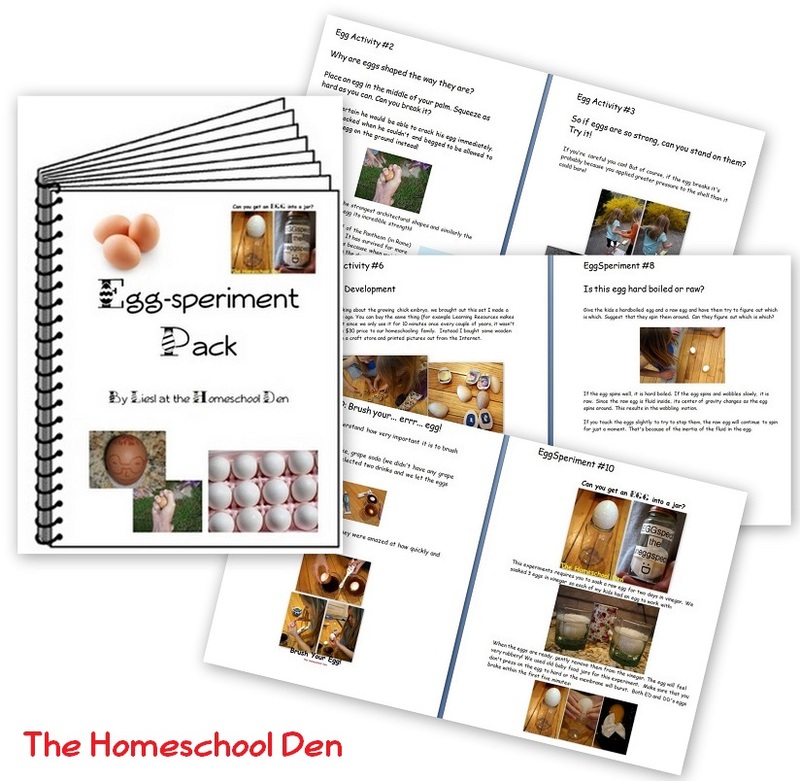 I tried to make it pretty straight-forward (so even wrote out instructions for what I said to the kids on certain days and what hints I gave to help them discover the answers/patterns for themselves. 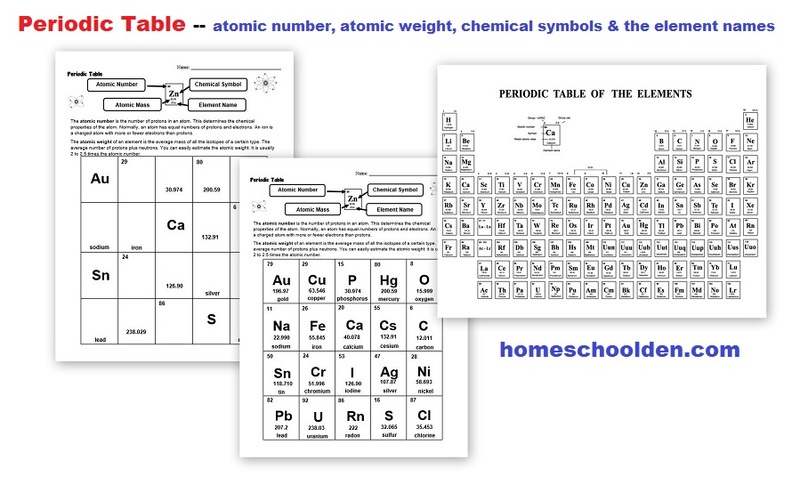 On the day we colored in the Periodic Table for Metals/Nonmetals/Metalloids there are pretty specific instructions on what to day… Choose one color. We are going to be using this color for the first six boxes. 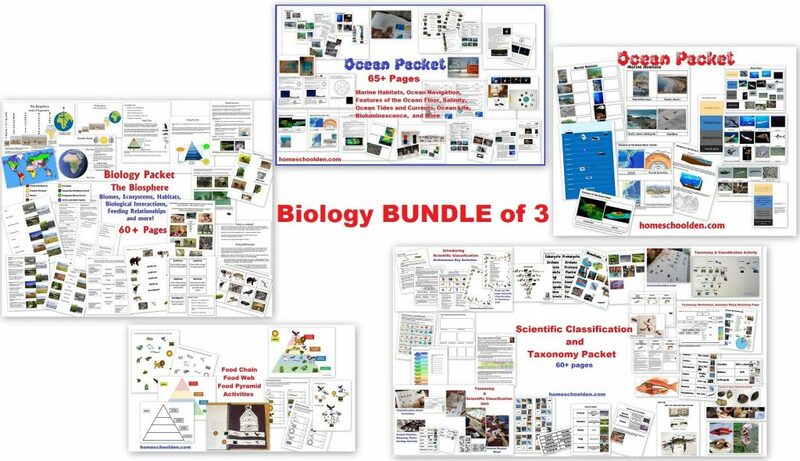 The Chemistry Packet is $7.99. 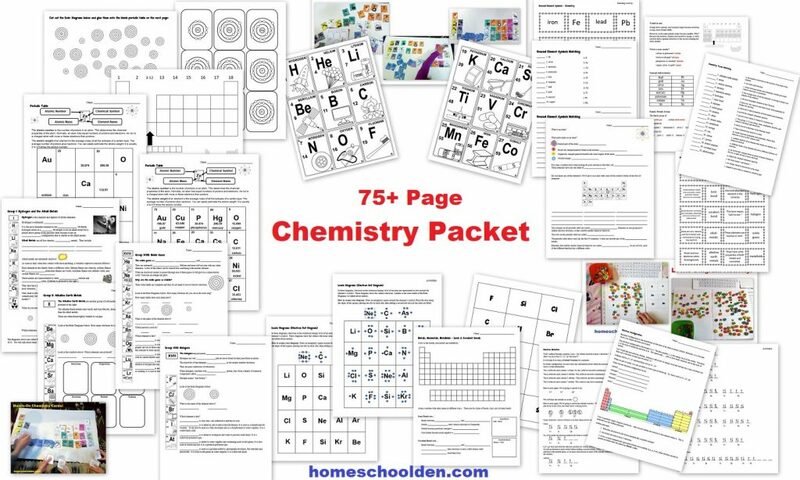 $7.99 Chemistry Packet You can use this button if you would like to purchase any of our other packets. See below or check out Our Store for more details! 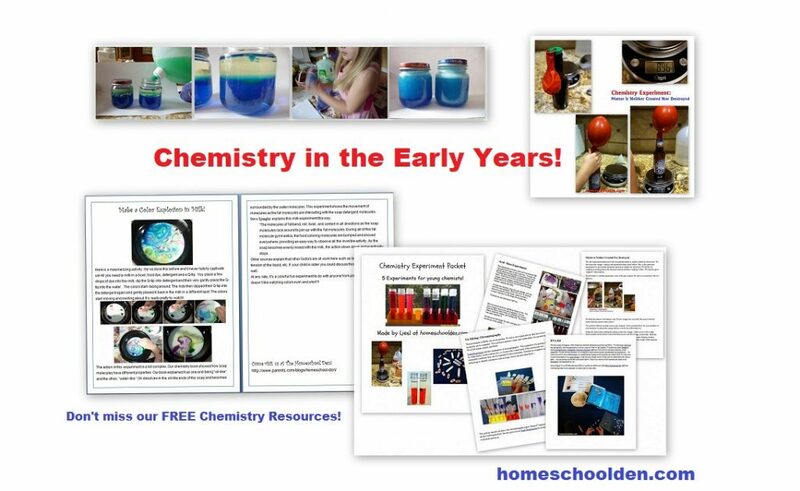 It includes some free resources including a Chemistry Experiment Packet I made for ED when she was in Grade 2.